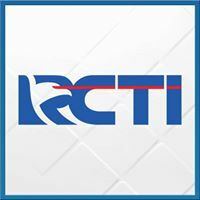 General TV Channel / RCTI (Rajawali Citra Televisi Indonesia) is Indonesia's first commercial and privately owned television network and is based in West Jakarta. RCTI broadcasts Indonesian Idol, X Factor Indonesia, MasterChef Indonesia, Rising Star Indonesia, The Voice Indonesia, Indonesia's Got Talent (soon on end of 2018), as well as sinetron (soap operas), films, news and current affairs, reality shows and religious programs. The network's flagship news program is Seputar Indonesia (Around Indonesia), which later expanded to four editions in February 2009. Presenters include Michael Tjandra, Inne Sudjono, Dian Mirza, Ariyo Ardi, and Tasya Sarief.